Stand down Trinidad Moruga Scorpion, there’s a new hottest pepper in the world in town according to the Guinness Book of World Records. The Carolina Reaper kicks super-hot peppers into another stratosphere. In fact, at its extreme, the Carolina Reaper is hotter than typical pepper spray. That’s insanity in edible form. 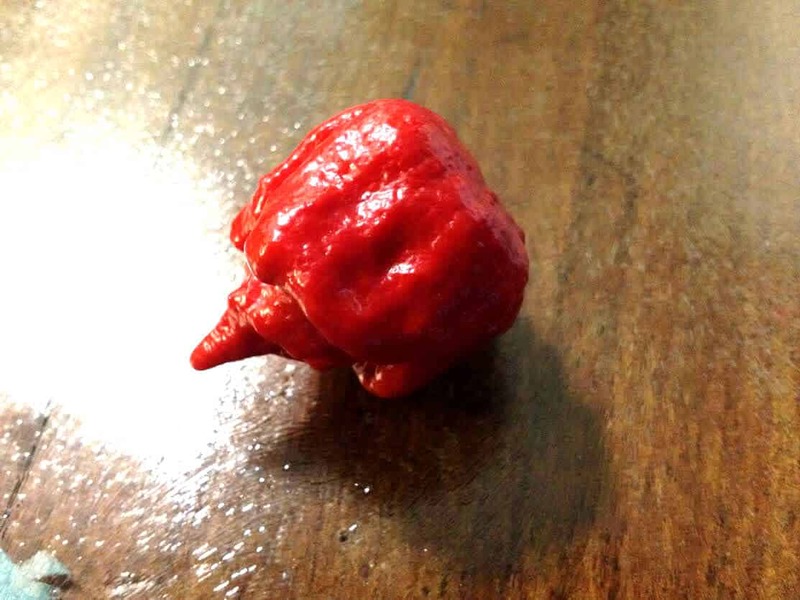 How hot is a Carolina Reaper? Eyes rolling to the back of your head hot, that’s how hot. Carolina Reaper’s range from 1,400,000 Scoville heat units to a blistering 2,200,000. That top end is just as hot as or hotter than standard pepper spray. And comparing it to a jalapeño is just silly. Even the hottest jalapeño will come in at around 175 times weaker than the mildest Carolina Reaper. 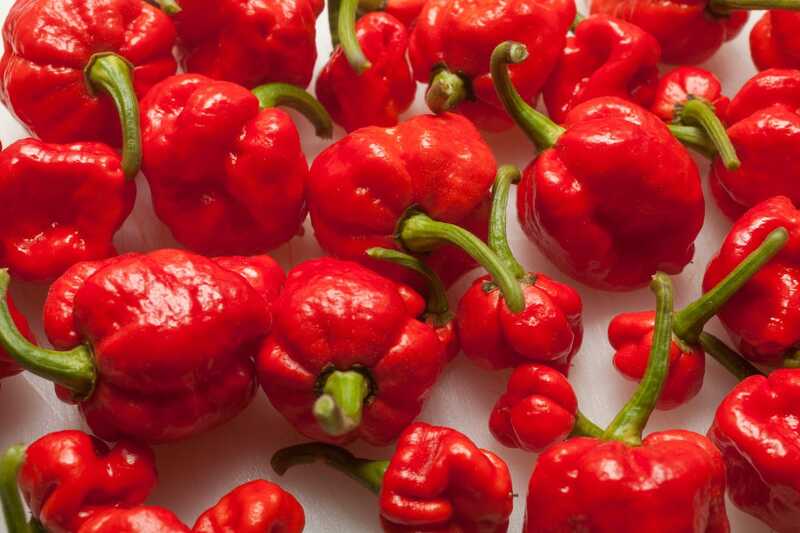 It tips the scales at about 200,000 SHU on average above the Trinidad Moruga Scorpion. To give that reference, 200,000 SHU is the heat of an average habanero pepper, so it’s a significant bump up to what was already crazy hot. 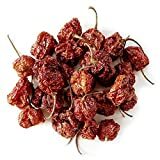 In November 2013, the Guinness Book of World Records crowned the Carolina Reaper as the new reigning champ of super-hot peppers, knocking the Trinidad Moruga Scorpion down to #2 in the ranks. Who discovered the Carolina Reaper? Smokin’ Ed Currie is the grower of this super hot chili. 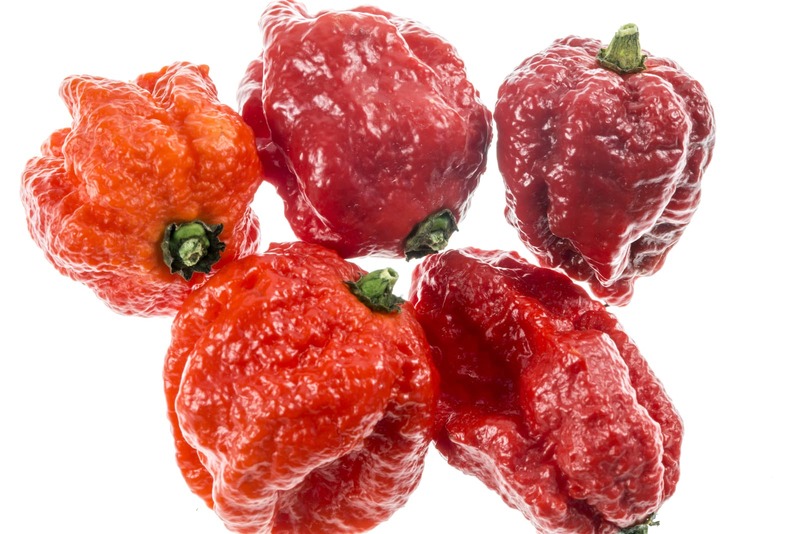 His Puckerbutt Pepper Company based in South Carolina developed the reaper as a hybrid of a red habanero strain and a Naja Viper pepper – another pepper that was once the hottest pepper in the world. He was seeking to develop a sweet pepper with a little more punch. What he got was record-breaking. Ed Currie’s pepper-growing career has an amazing back story. 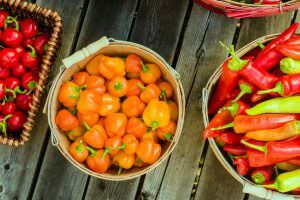 He began growing peppers because of his interest in the health benefits of hot peppers, especially in combating diseases. His family had a history of cancer, and, to be as preventative as possible, he began researching communities with low levels of disease. 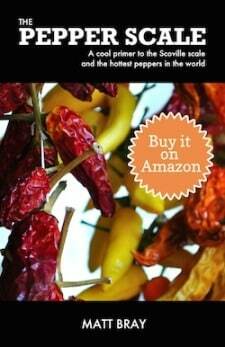 He noted that there was something in common among these communities: hot peppers were a staple of their diets. This sparked a passion that’s led to something pretty special, and Ed has often donated his chili peppers for cancer research. A fun fact: The Carolina Reaper went by a much less potent name during its cultivation and development from 2011 until 2013: HP22B. This is a simply an acronym covering important plant details for Ed the grower – Higher Power, pot number 22, plant B. What does the Carolina Reaper taste like and look like? Like the Naja Viper and the Trinidad Scorpion, the Carolina Reaper has a scorpion-like tail. It’s a red pepper about 1.5 to 2 inches in total length. In terms of taste, this is likely the sweetest super-hot pepper you are going to find. In fact, the Puckerbutt Pepper Company grows them that way. 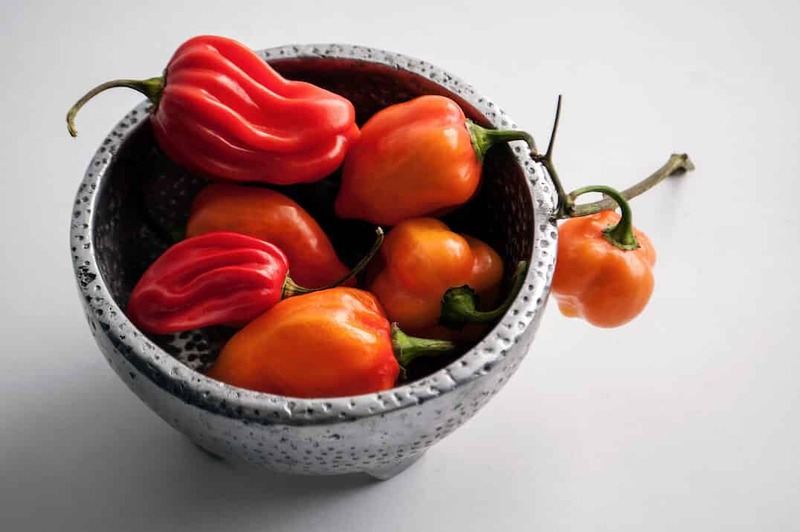 They want their peppers to not only challenge the taste buds but to also enhance the flavor of food. There’s a lot more flavor to the Carolina Reaper then you’ll find in most extremely hot peppers. 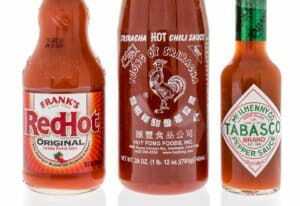 In fact, the extreme hot sauces made from it are quite tasty if you are used to super-hots. Still, a warning: this is a scorching chili. 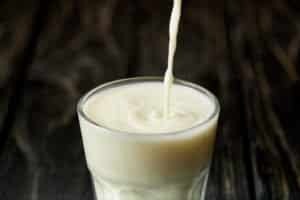 Eating it raw is not ever advised, and touching it with bare hands can actually cause severe burns. There are lots of hot pepper daredevils that have recorded their experiences eating this hot pepper raw, so it’s easy to see for yourself − just take a look on YouTube. Where can you buy Carolina Reaper? This is not a pepper you’re going to find at your local store. Check out Puckerbutt Pepper Company’s store online. They sell Carolina Reaper seeds, along with other merchandise. Or if you prefer, you can find Carolina Reaper hot sauces, seeds, and more on Amazon.com. Make sure you climb up to this level. Don’t jump to the Carolina Reaper from a jalapeño heat tolerance level or even a cayenne tolerance level. They don’t live in the same zip code. In fact, they aren’t even on the same planet. The pepper scale is a journey. If you want to reach and really enjoy the Carolina Reaper heights, you need to work your way up. It’s definitely not a pepper for everyone, but for those that love it as hot as the sun, welcome home. Reaper Sling Blade Hot Sauce - Made with the Carolina Reaper!